Baller Legends This game is only available on the mobile platforms above. Can you feel the sweat pouring down your face as you fly through the air and slamdunk? 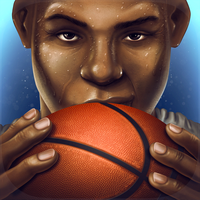 Swipe to shoot, tap to dunk, and enter the record books as a legendary basketball player. Travel to diverse locations, upgrade and stylize your rookie, and face the challenges that will push you to the limit. All games and trademarks are copyright their respective owners. Contact Us if you feel Baller Legends has been used without proper permission.